Will wonders never cease? Just when every self-respecting movie-goer in Singapore had written him off as a commercial hack who stopped making real films upwards of a decade ago, Jack Neo comes up with something that actually has a plot, and which doesn’t immediately shove twenty different product placements up your nose. 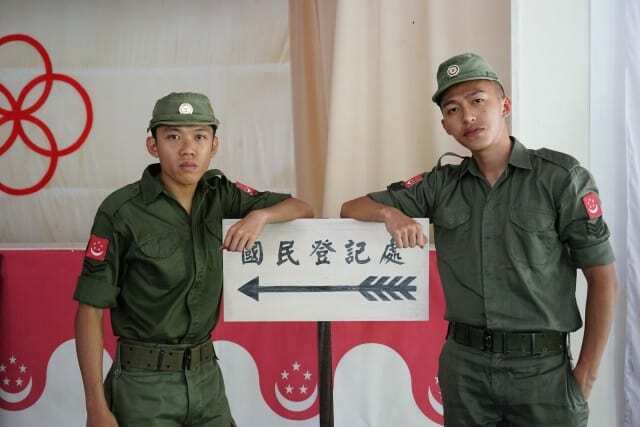 That said, Long Long Time Ago’s appeal isn’t just restricted to the thank-God-it’s-better-than-The-Lion-Men variety: it’s a solid, well-assembled film in its own right, with a swashbuckling cast at the top of its game that shows up the Ah Boys (with the probable exception of Wang Weiliang) for the acting lightweights that they are. We dare say even the product placements have undergone a welcome revamp. 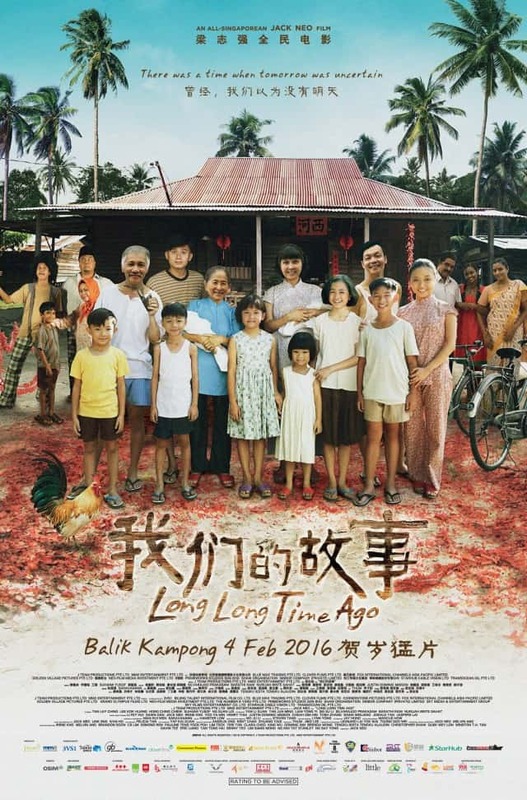 Zhao Di (Aileen Tan) is a long-suffering mother of three whose husband’s death has forced her to move back in with her parents (Wang Lei and Jing Jing Ah Ma) just when she is about to give birth to her fourth child. This period of great personal turmoil for her just happens to coincide with a period of turmoil in Singapore at large: the days immediately after independence. In a climate rife with uncertainty and superstition, Zhao Di must struggle to bring her children up as best she can, weathering obstacles both individual and national. 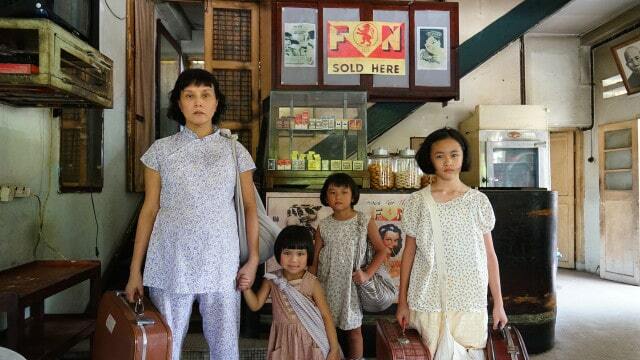 Over the years, Zhao Di and her family become witnesses to every step of Singapore’s growth. Reading this plot summary, you may well be forgiven for thinking “Meh. Sounds like another melodramatic Channel 8 drama”. And you’d be right. There is quite a lot of melodrama in Zhao Di’s enduring misfortune and mistreatment at the hands of her superstitious father and all-round kiam-pah brother Ah Kun (Mark Lee). But better cloying sentimentality than extended civics and moral education lesson. The nauseating and overly heavy-handed homages to team spirit in Neo’s previous three or four movies have been significantly toned down in Long Long Time Ago, only making a belated appearance in the movie’s last act. After the testosterone-fuelled Ah Boys to Men trilogy, it’s also a welcome change to see a woman in the lead role for once. And Bengs and Lians rejoice! 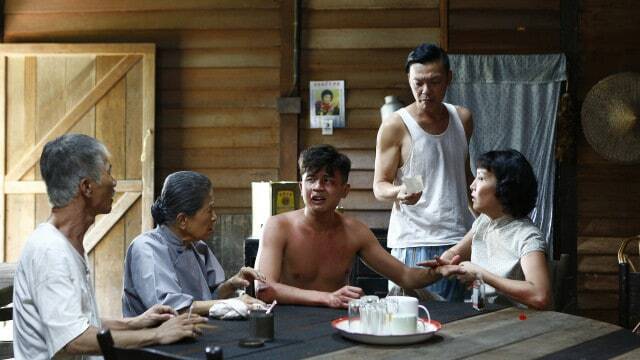 Almost the entire film is spoken in Hokkien (or Malay, courtesy of a zany Suhaimi Yusof). All of this, however, would be barely enough to raise Long Long Time Ago into placid mediocrity if not for the cast absolutely slaying with their performances. It’s long been established that Aileen Tan can act, but her experience and versatility make all the difference between a real woman and an unrealistic martyr. The erstwhile Police and Thief duo of Mark Lee and Suhaimi Yusof, given free rein to mouth off in the respective languages they’re most comfortable with, get away with a number of gags that would have fallen flat in the hands of lesser men. The young guns also impress all the more for not having to carry the weight of the film on their shoulders, and viewers should recognize in Zhao Di’s eldest daughter the same little lady who drew eyeballs in Neo’s segment of 7 Letters last year (Yan Li Xuan). Neo has finally gotten wise to the folly that is relegating his most experienced cast members to nothing more than glorified cameos. Several of the Ah Boys do actually make cameos here in a dramatic role reversal (pun fully intended), but these are thankfully brief. 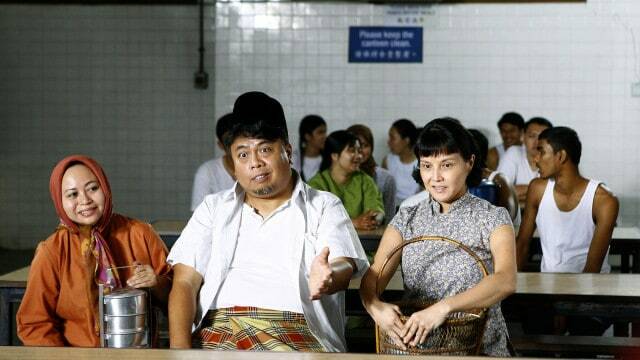 All things said, Long Long Time Ago is still a Jack Neo film, featuring humour that frequently borders on the scatological, one or two expensive set pieces and yes, a bunch of product placements. Only this time, you’ll laugh more than you cringe, the film’s recreation of an attap house under siege from floodwaters isn’t a ridiculous dream sequence and it’s actually possible to not realise how many product placements Neo has inserted into the film until the list of sponsors rolls during the end credits. Perhaps Singaporeans will indeed have a reason to stream into cinemas for Part 2 in March other than ‘it’s a Jack Neo movie’ after all. Summary: Nothing new here, but film director Jack Neo makes a long-overdue return after playing second fiddle to commercial director Jack Neo for years on end.